Our Remanufactured Acura RL Steering Racks replace OEM Part #53601-SJA-A05 or #06536-SZ3-506RM (1998–2012 Models). Please choose your Model Year from the dropdown menu below to guarantee fitment. A common problem reported by Acura RL owners are defective Steering Racks with fluid leaks and noisy squeaks caused by worn out or deformed internal Seals that cannot be replaced until the Rack and Pinion (a.k.a. Gearbox) has been removed from the vehicle. The defective Gear — called a “Core” — can be R&R’ed or exchanged for a remanufactured one. SteeringPros, LLC replaces the Inner Tie Rods, Seals, and all other unusable components, then reassembles and tests each Gearbox for leaks using a computerized simulator that outputs hydraulic pressure levels to OEM specifications. 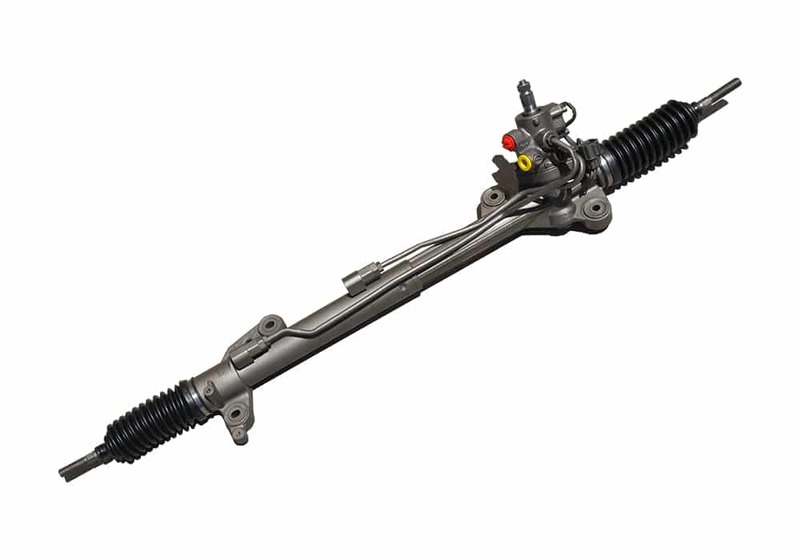 2009–2012 BASE, ADV, TECH Models: Hydraulic Power Steering Rack interchanges with Acura OEM #53601-SJA-A05, and replaces obsolete Part #53601-SJA-A04. 2005–2006 BASE, TECH Models: Hydraulic Power Steering Rack interchanges with Acura OEM #06533-SJA-A00, and replaces obsolete Part #53601-SJA-A03 and #53601-SJA-A02. 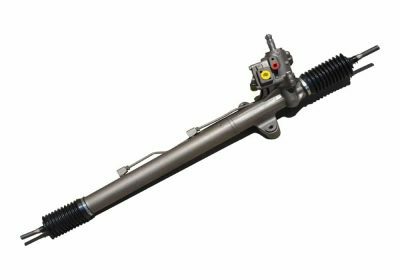 1998–2004 BASE, NAV, PREM, SE Models: Hydraulic Power Steering Rack interchanges with Acura OEM #06536-SZ3-506RM, and replaces obsolete Part #53601-SZ3-A01RM. How Do We Source Our Acura RL Steering Parts? All of our Acura RL Steering Racks are original OEM Cores remanufactured by the best machine shops in the USA and include new Inner Tie Rods and Boots. Our products are identical in fit and quality compared to a new Gearbox, and meet or exceed the original manufacturer’s specifications. Depending upon the delivery address, this product may be shipped from Baltimore, Chicago or Las Vegas to save on freight costs and shorten delivery times. It is at our sole discretion from which warehouse the product will be shipped. There are 2 SKUs available for 1998–2012 RL Steering Racks, which interchanges with either Acura OEM #53601-SJA-A05 or #06536-SZ3-506RM. Select your vehicle’s Model Year from the dropdown menu above to guarantee the exact fitment. If you need to confirm the exact Year / Make / Model of your vehicle, use this Free VIN Decoder. Prior to installing the Gearbox, we strongly recommend that you compare it to the OEM Part. Look closely for any variations or discrepancies. While we do make every effort to reduce the occurrence of mislabeled shipments, it is common sense to verify the product you receive is an exact replica of the original component. Installation of any product will render it used and therefore ineligible for a full refund per our Terms & Conditions.